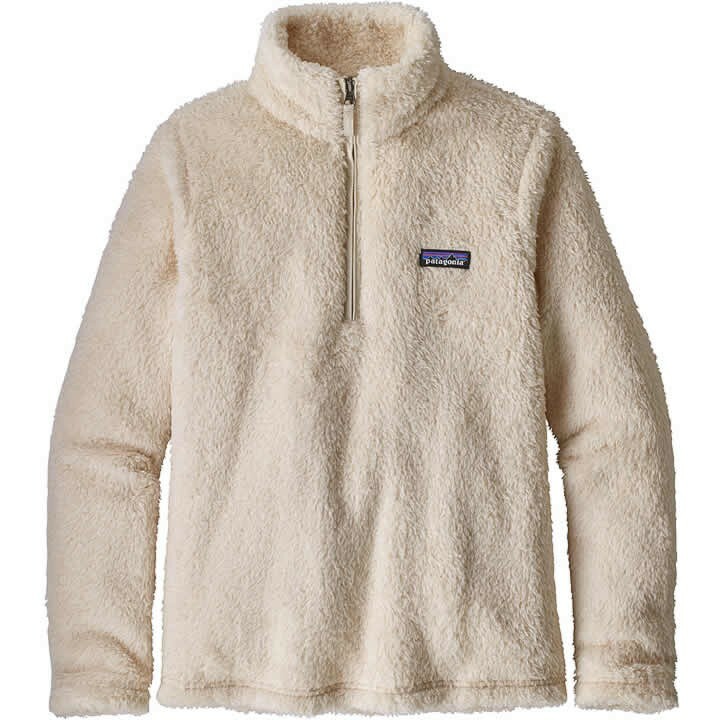 This quarter-zip pullover jacket is made of deep-pile 100% polyester (30% recycled) fleece fabric. * Inseam will vary depending on style. Measurements refer to body size, not garment dimensions, and are in inches, unless otherwise noted. Rewarm with the cozy Los Gatos 1/4-Zip made from polyester (30% recycled) deep-pile, double-faced fleece that's sumptuously soft. The pullover has a classic quarter-zip neckline and tall collar that blocks drafts. Set-in sleeves with feminine, contoured seams lend a flattering silhouette. Length falls to hip.